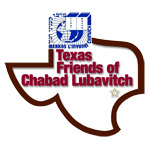 Men's Mikveh Guidelines - Chabad Lubavitch Center - Texas Regional Hdqrtrs. To accommodate visitors, short term access cards for one week or one month are also available. Dues will not be prorated unless special circumstances exist. Please call the office for more details. All new membership levels include a Men’s Mikveh Access Card for your convenience. Your card will open the parking lot entry gate, ramp gate and the new Men’s mikveh entrance door. The access card will be active from 5:30 am- 5:00 pm 6 days/week, Erev Shabbos/Yom Tov until 30 minutes prior to sunset. If you do not already own a Chabad Lubavitch Center access card a new card will be mailed. Otherwise, access will be added to your existing card. Your card will remain the property of MTY and a $25.00 fee will apply for lost or stolen cards. Access cards expire January 1.
Credit Cards: For credit card payments, please go to the “MTY Payment Form”. (Fees below are listed as a cash or check discount). If financial arrangements are needed, please call with your confidential request. Keep all receipts in order to verify your membership payment. Membership will be confirmed only when the full membership fee is received by the office. Until then, please pay the $5 visit fee to the front office or in the payment box when you visit the mikveh. Please respect these fees and pay the visit fee to the front office or in the payment box when you visit the mikveh. Erev Shabbos/Yom Tov: 5:30 am until 30 minutes prior to sunset. Guests, Non-Members & Shabbos: The mikveh will be open for entry of guests during office hours only (a $5 visit fee will apply). Contact the office for times.